We leave Lao today. 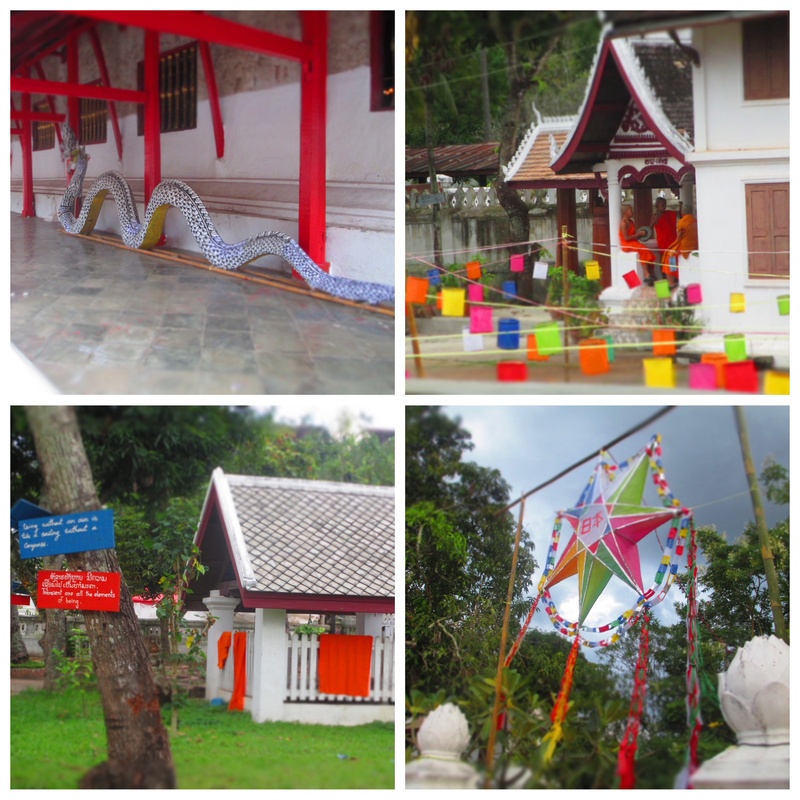 I’ve started and halted many posts on Lao as my feelings on the country have evolved. 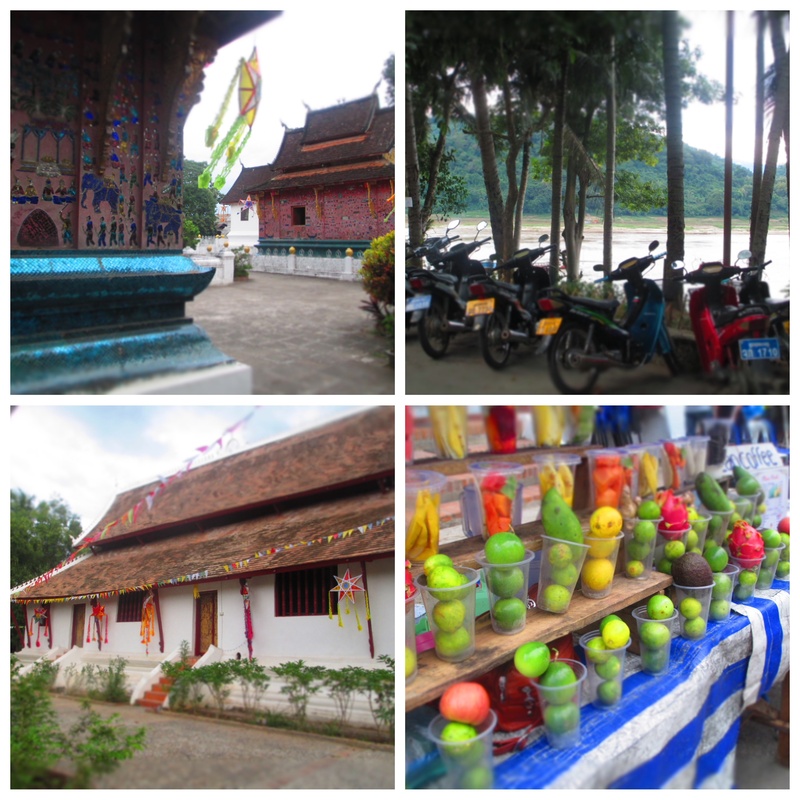 When I think back to our first week in Luang Prabang, we were turned off. Turned off by the tourist strip of ticky-tak stores and backpackers in short shorts and tank tops walking with bottles of open BeerLao. Turned off by the garbage and dust and animal feces. Turned off by the tourist weary residents. So I waited. Because first impressions can be wrong. And mine was. 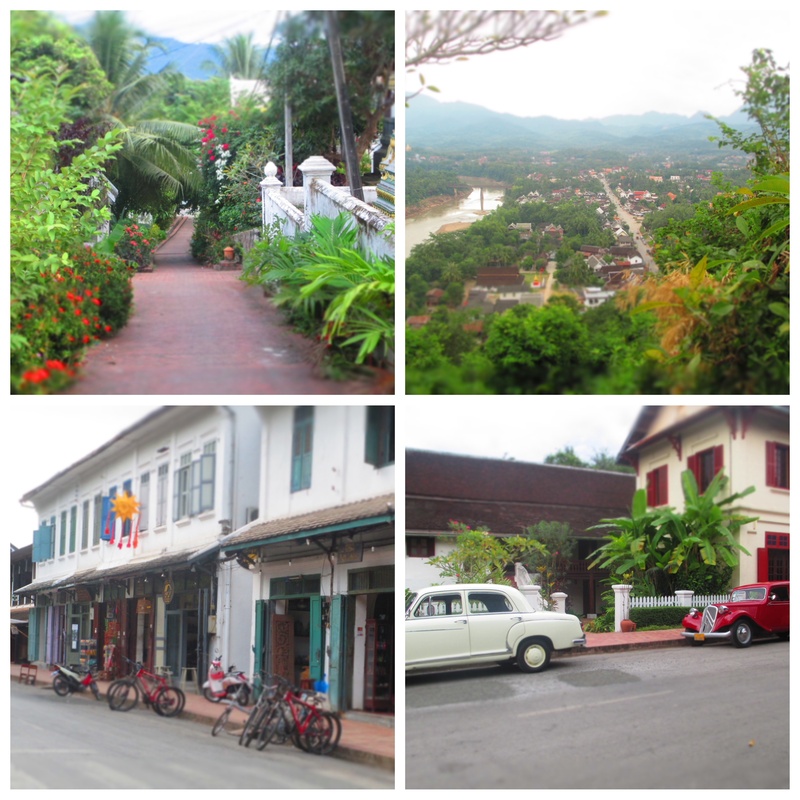 Luang Prabang is a picturesque town with a fushion of traditional Lao and European colonial buildings situated on the confluence of the mighty Mekong and the Nam Kham rivers. Haven’t lush greenery and colonial architecture always gone together so well? I look out from our balcony at white French buildings with blue shutters, narrow brick side streets, palm trees and colorful, opulent flowers. The elderly Lao women on our block are packing up their rice and mats after having spent the first hour of their day on their knees methodically offering a pinch of sticky rice to the sixty or so monks — shaved heads, orange robes, so young — who quietly plod by in bare feet…every day! I am struck by the ingenuity of a people to make do with the resources they have. A hydro electric generator made from a bike wheel. Children’s toys in the form of straws, used plastic cups, and sticks. The ability to leverage the earth to eek out a small living — harvesting bamboo, rice, river weeds, and carving small garden beds into the river banks. The buddhist and animist country is changing rapidly due to the foreign investments in mining and hydropower and the continued growth of tourism. You can feel the infrastructure straining at the onslaught. 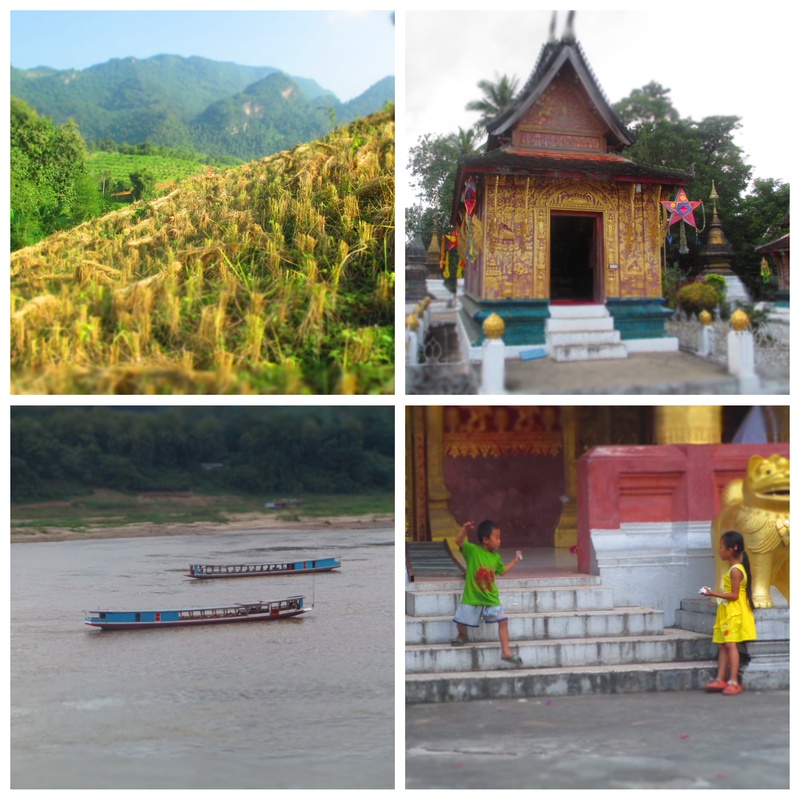 But the beauty of the country lies in the landscape, the sing-songing “sabaidees” of the children as you pass, the devoteness of a Buddhist nation, and the calm relaxing breeze carried from the Mekong River. Khawp jai lai lai, Lao. * In the U.S., we commonly refer to Lao as Laos. However the country calls itself Lao PDR (People’s Democratic Republic). 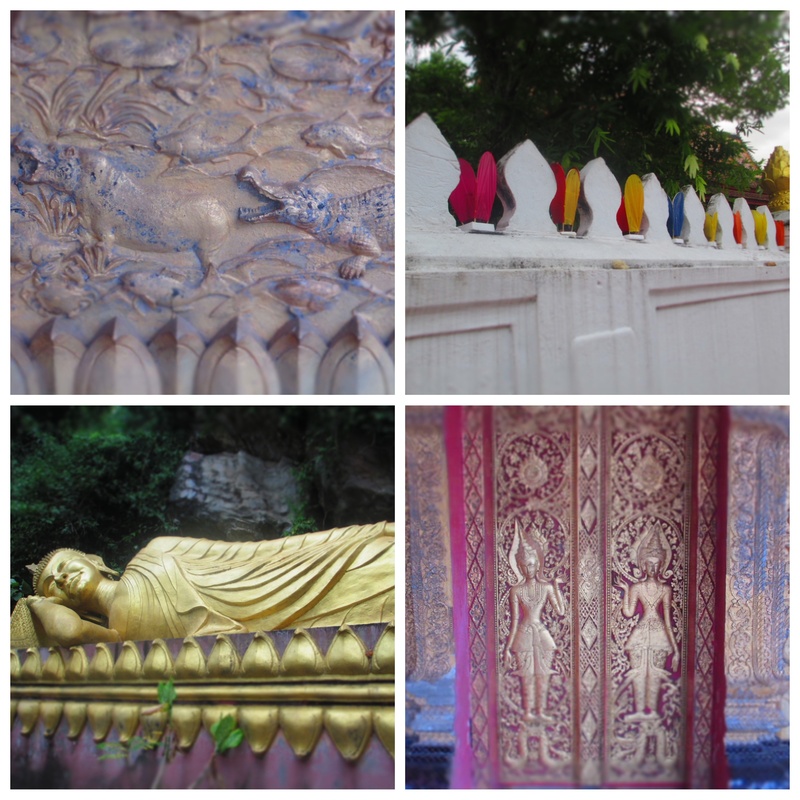 More to follow on Tips, Sleep, Eat and Do plus a few Luang Prabang getaway recommendations soon! So glad you ended up enjoying your time there. 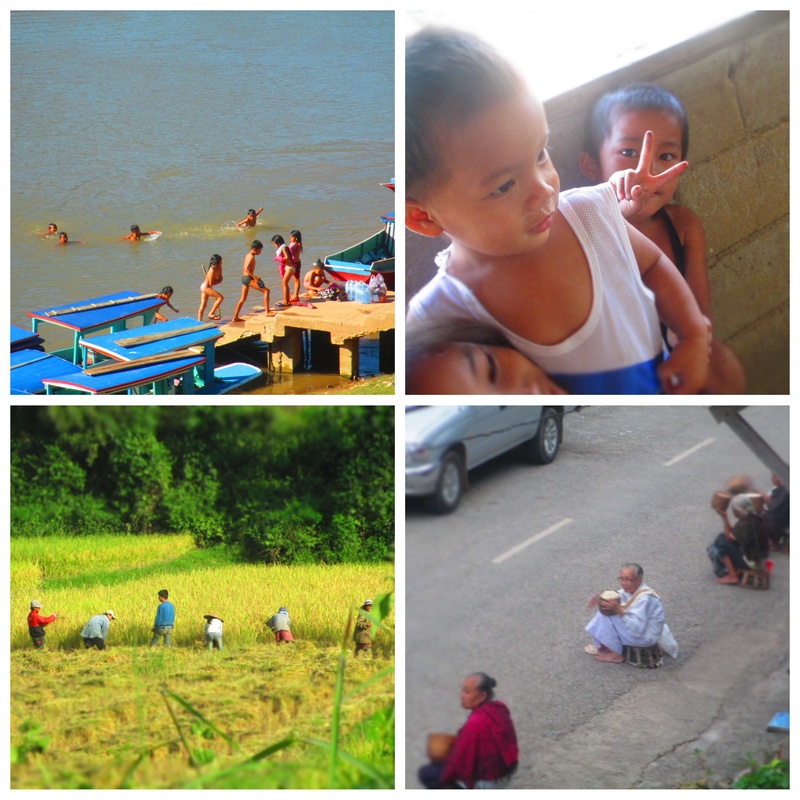 In all my travels Lao is one of my favorite places – the beauty of the land and the people in spite of so much poverty.